After a fresh Ubuntu installation, one of the important things is to install the flash plugin for watching videos via web browser. 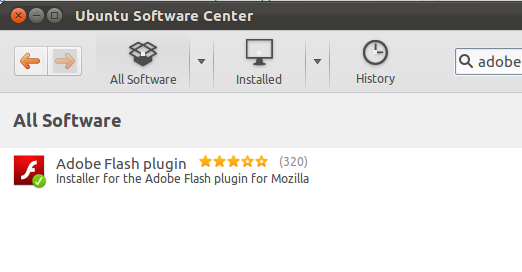 For 32-bit, search and install flash plugin in Ubuntu Software Center. For 64-bit, download .tar.gz from the official site. click here and select “.tar.gz for other Linux”. Then do following steps. sudo ln -s /usr/lib/flash-plugin/libflashplayer.so . 3.) Now, restart your Firefox or Chrome and flash should work. 10 users responded in " Install Adobe Flash Plugin in Ubuntu 12.04(both 32&64 bit) "
btw. please refrain from advises such as running a GUI app via ‘sudo’. Thank you. it worked like a charm , thanks.